Thousands of teenagers in council care are living in B&Bs, flats and even tents and caravans – with no live-in adult supervision, a report reveals. In 2018, 3,090 looked-after children were living independently, government data published in the Children’s Rights Alliance for England report shows. And local authority data shows at least 1,173 14 and 15-year-olds spent more than six months living in this way. Children’s services bosses predict a £3.1bn funding shortfall by 2025. The children in question are in the care of local authorities because something has gone wrong in their birth family. And they are being cared for in what is known as independent accommodation, rather than children’s homes or foster care. This means they may have access to floating support teams and may receive a visit from a social worker once a week – but there are no overnight live-in staff looking after them. And, according to the alliance, which is part of the charity Just for Kids Law, the true number of children being supported in this way is likely to be higher. Only a quarter of England’s councils approached under Freedom of Information laws by the alliance replied to its questions. Charity chief executive Enver Soloman said he believed the practice was a form of neglect. The state was not fulfilling its role as a corporate parent by accommodating children in this way, he said. “It’s not good enough,” he said. Although it is local authorities that have placed these children, Mr Soloman was sympathetic to their situation. “Councils are between a rock and a hard place,” he said. “They have statutory duties but they have limited resources. Councillor Anntoinette Bramble, who chairs the Local Government Association’s children and young people board, said councils always sought the best possible support for vulnerable children and young people. 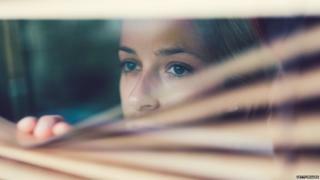 “But this is becoming increasingly difficult with social workers supporting record numbers of children in care while working with a funding gap that will reach £3.1bn by 2025,” she said. “The number of children in care has increased by 27% over the past decade but government funding and placement capacity has failed to keep pace with this rising demand. “This means that finding high quality accommodation can be particularly challenging at times where emergency placements are required at extremely short notice. On the issue of unsupervised children in care, the report says: “Children and young people should never be housed in B&Bs, hotels or caravan parks. “Before placing any child or young person in independent accommodation, LAs [local authorities] should conduct a safeguarding check and risk assessment. “They should give careful consideration to whether on-site or visiting adult support is appropriate for their needs and put in place arrangements to ensure they can contact support services out of hours. The report also highlights how local authorities have lost an estimated 60p out of every £1 since 2010. And this trend is set to continue, with a predicted £3.9bn shortfall in 2018-19 set to grow to £7.8bn by 2024-25. “Early intervention is essential to support children and their families and to stop problems escalating,” it says. Could you answer these primary school maths questions?